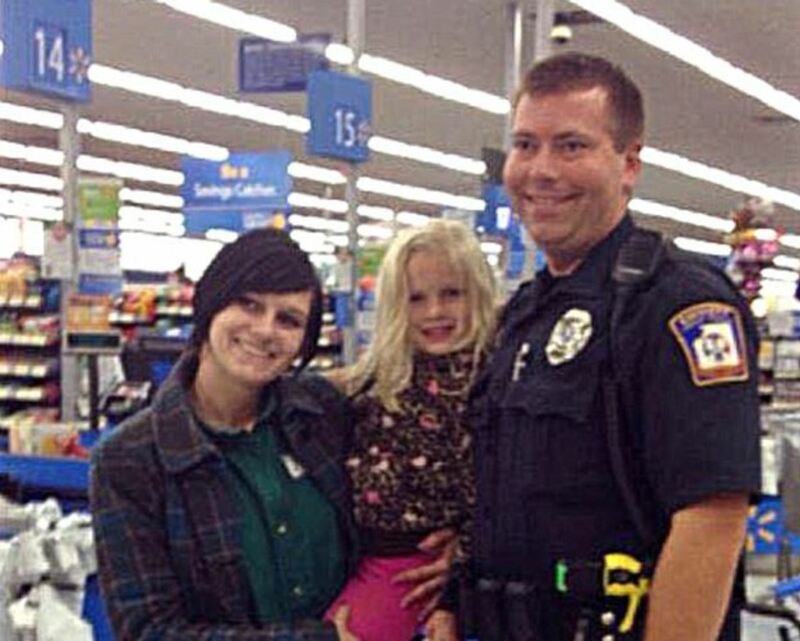 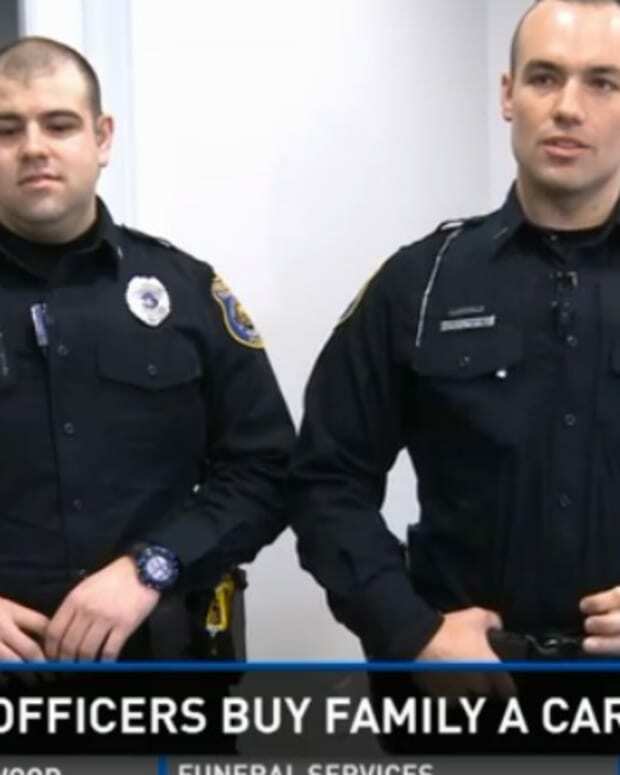 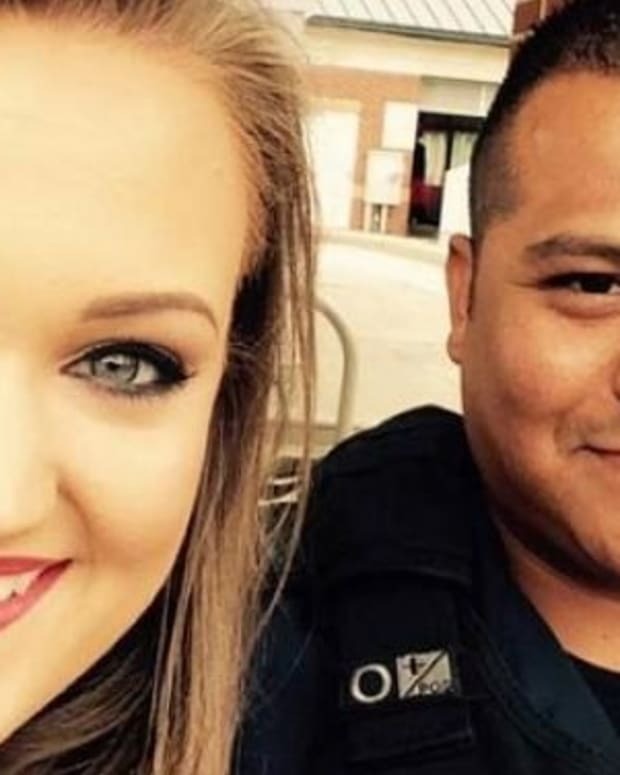 A Michigan police officer’s kind deed for a young mother is attracting lots of praise, and for good reason. 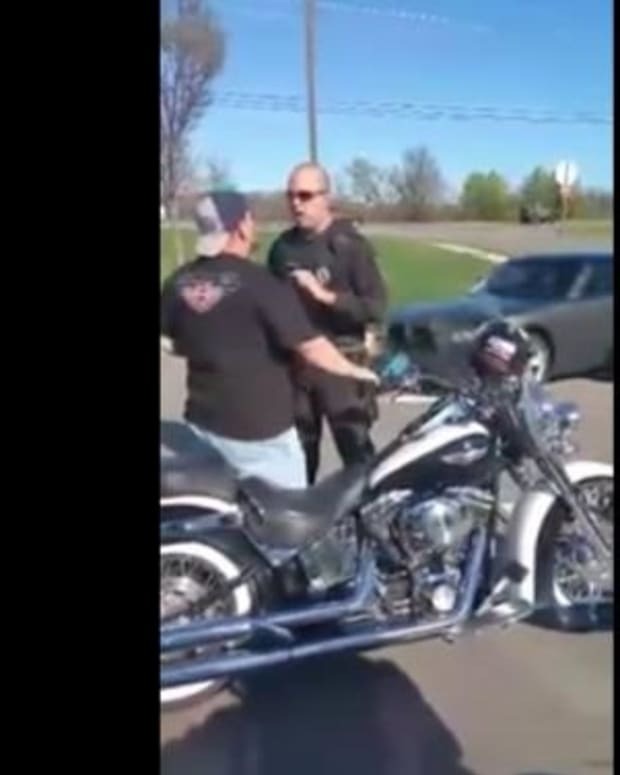 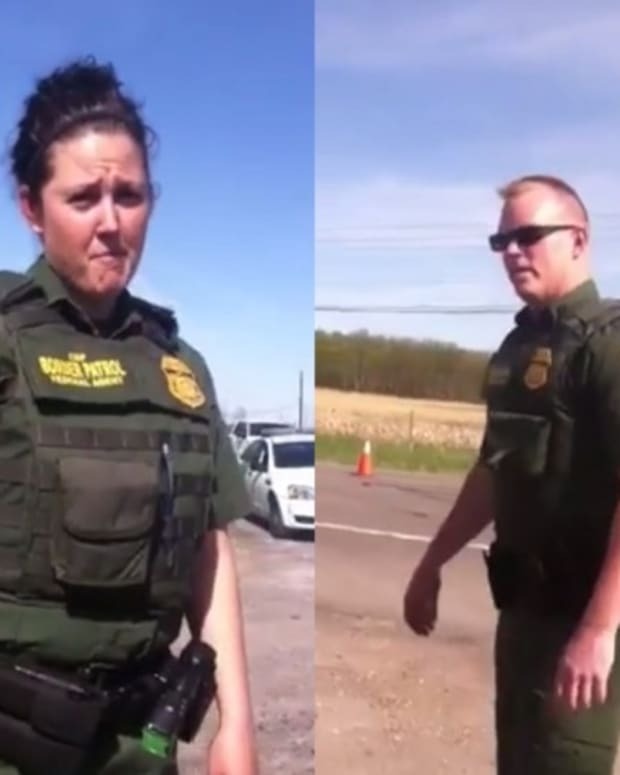 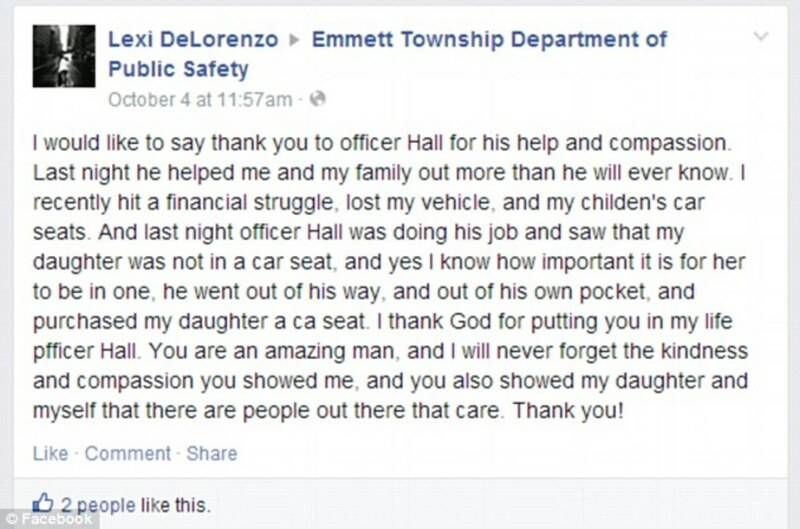 Emmett Township, Michigan Public Safety Officer Ben Hall pulled over mother Lexi DeLorenzo for a traffic violation over the weekend. 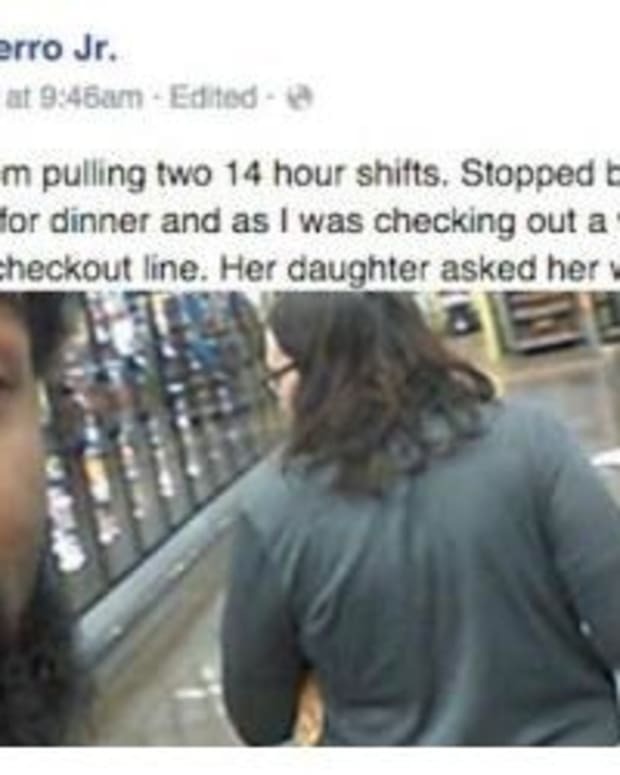 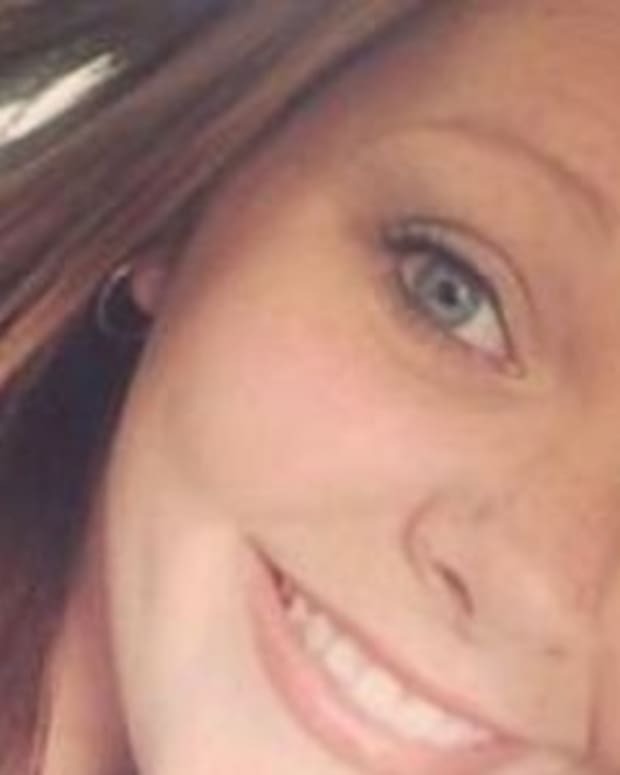 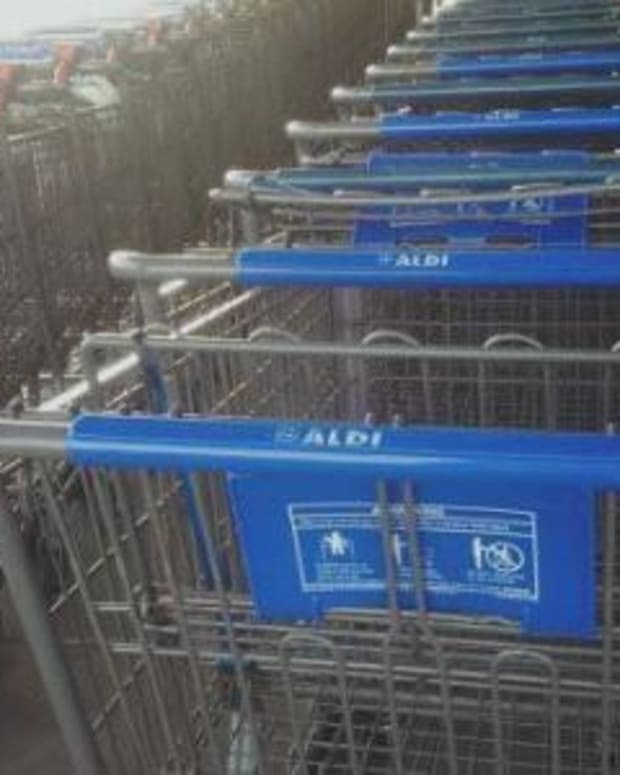 When he saw DeLorenzo’s young daughter sitting in the car without a car seat, he skipped the ticket and told the woman to follow him to Walmart instead. 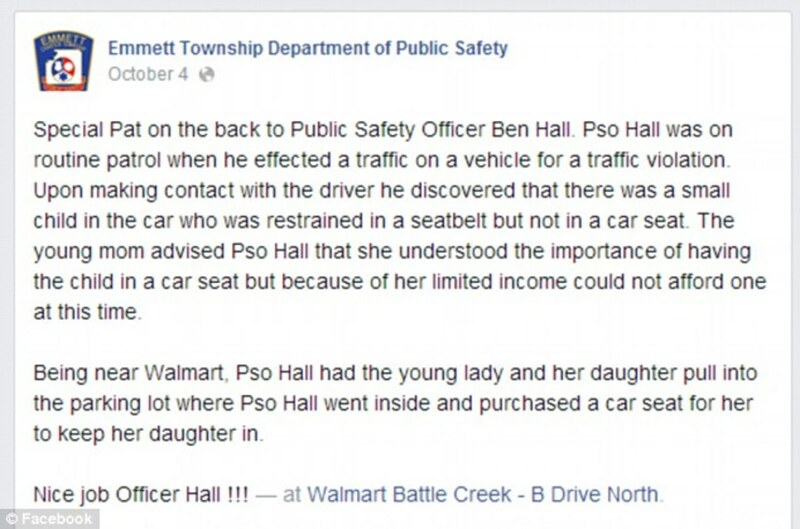 At Walmart, Hall treated DeLorenzo to a brand new car seat for her daughter. 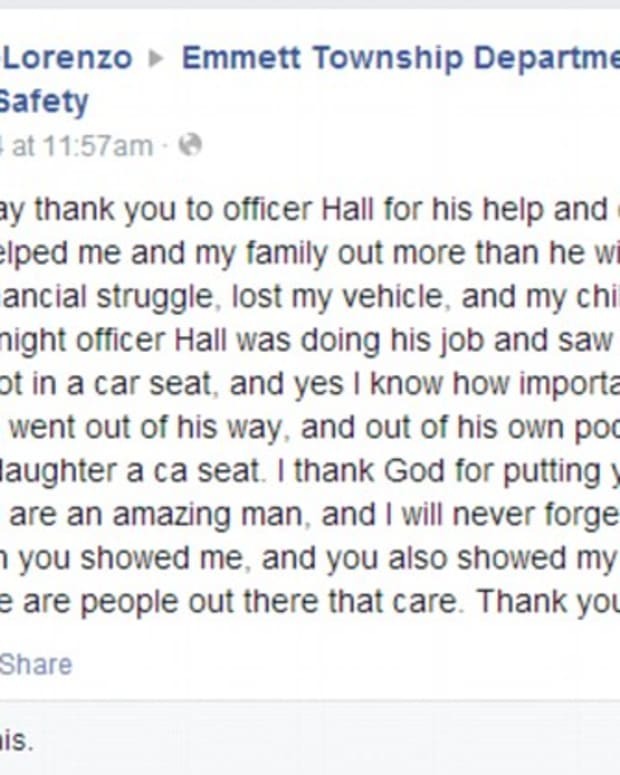 DeLorenzo was overwhelmed with gratitude and explained to the officer that she couldn’t afford a seat herself due to her limited income.